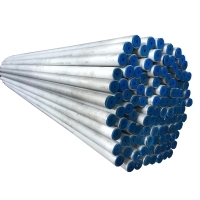 Having difficulties looking for stainelss steel tubes? We can help you because we have all sizes. If you are interested in our products, please get in touch - we are ready to help you. 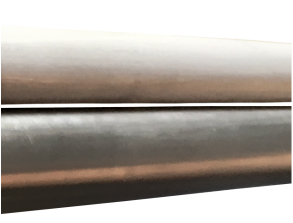 Stainless Steel SS316/SS316L Tubes are made in accordance to ASTM A213 / ASTM A269 TP316 / TP316L standards. Annealed and pickled seamless stainless steel tubes has a “matt” finish and are used throughout industries where appearance is not critical and is considered the standard for Refinery and Offshore Oil and Gas projects. 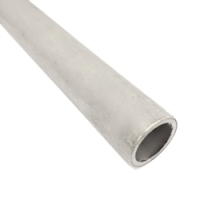 Polished Seamless Tube has a “shiny” finish and are used throughout industries where aesthetic appearance is important. Inch OD Size Range: 1/4" to 2"
2.5% minimum Molybdenum specifications is used to enhance the corrosion resistance of seamless tubes. At Chuan Kok, we keep stock of a large range of tube with minimum 2.5% MO content. A bend radius of 3x the external tube diameter is recommended for cold bending of tubes with tube benders or by hand. Tubes made of TP316 & TP316L are suitable for arc welding according to usual techniques. The welding filler should be selected in accordance with DIN EN 1600 and DIN EN 12072 part 1 taking into account the type of application and the welding technique. Chuan Kok keep ex-stock of stainless steel tubes in dual grade which is SS316/316L with seamless quality. The stainless steel tubes are in accordance to ASTM A269/A213. ASTM A269 is the standard specification for seamless and welded austenitic stainless steel tubing for general service. While for ASTM A213, it is a standard specification for seamless ferritic and austenitic alloy-steel boiler, super heater and heat-exchanger tubes. The minimum yield strength for stainless steel tube is 515 N/mm² and with maximum 90 HRB of hardness. Maximum 80 HRB is commonly specified so that compression fittings can work well with the tubes. Stainless steel tubes contain at least 10.5% of chromium and it will react with the oxygen to form an invisible chrome-oxide layer. The layer is strong enough to prevent further oxygen from rusting the surface. SS316/316L is molybdenum-bearing austenitic stainless steel with molybdenum content ranging from 2.0 to 3.0%. The high nickel and molybdenum content provides resistance in highly corrosive surroundings such as salt water or chloride environments. In addition, SS316/316L also provides excellent elevated temperature tensile, outstanding formability and weld-ability. The means of “L” designation after the grade number is the carbon content is restricted to a maximum of 0.03% where the normal level of carbon content of stainless steel are maximum of 0.08%. The lower level of carbon content stainless steel tubes are used where welding will be performed. This lower level carbon content prevents the chromium from being depleted and thus it can still form the chrome-oxide layer on the tube surface. Tubes are supplied in 3 type of finishing as Annealed and Pickled, Polished 320 Grit, and Bright Annealed. Polished 320 Grit are produced for applications where a smoother finishing is required for aesthetic application. Bright Annealed is produced by heat treating (annealing) steel with a controlled atmosphere. After the heat treatment, the steel has reflective, mirror-like appearance​. ​​For tubes thickness, A269 and A213 has 2 different type of wall thickness tolerance. For ASTM A269, the permissible variations in wall thickness is +/− 10%. However for ASTM A213, there are 2 options for the wall thickness tolerance. The 1st option is minimum wall thickness which is + 20%, − 0% of wall thickness. The 2nd option is average wall thickness which is +/− 10% of wall thickness. 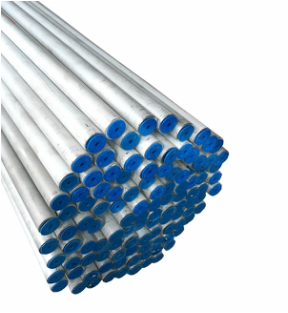 Our usual option for tubing products wall thickness of tubing are +/− 10% and it will comply to both A269 and A213 standards.